Gettysburg Licensed Battlefield Guide Rich Kohr is our host for the Gettysburg at Arlington series. This view was taken facing southeast at approximately 4:00 PM on Sunday, January 31, 2010. 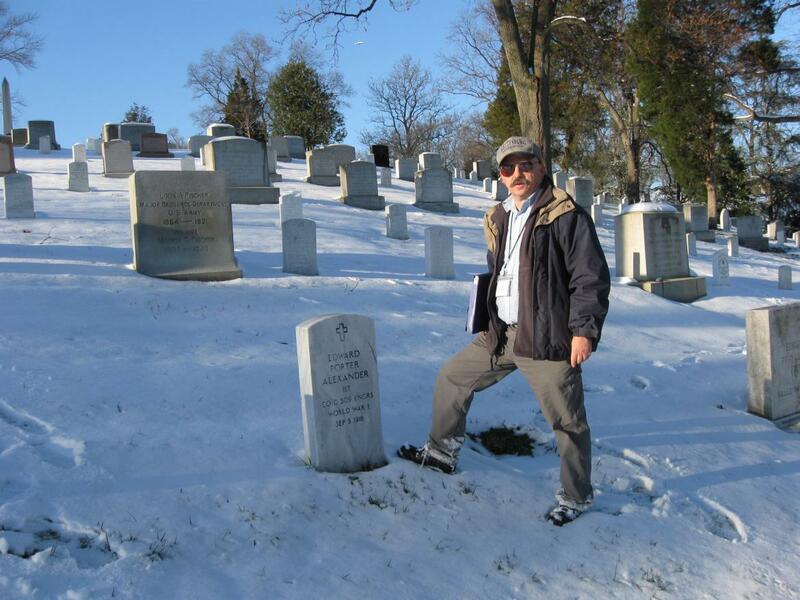 In our ninth Arlington National Cemetery presentation, Rich Kohr shows us the graves of Dr. Jonathan Letterman, Nelson Miles, Major Edmund Rice of the 19th Massachusetts, and Major General Daniel Sickles. 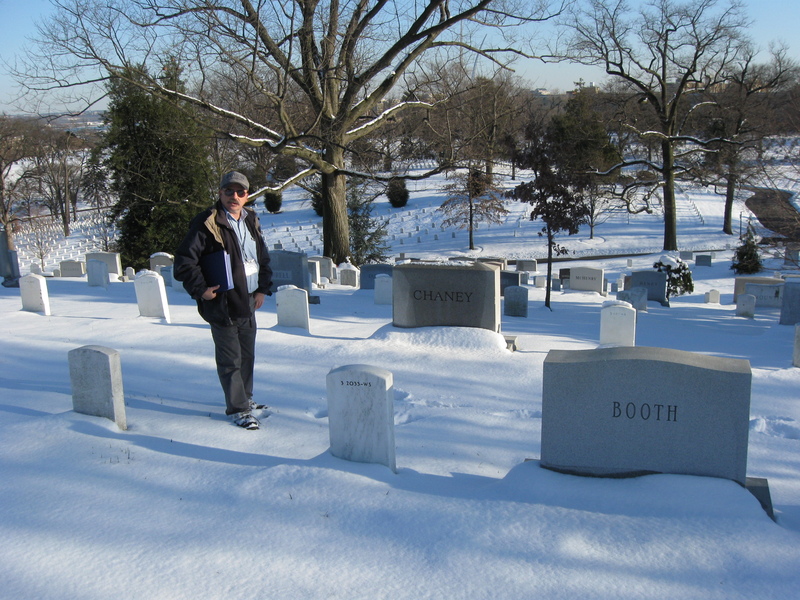 In today’s Arlington post, Gettysburg Licensed Battlefield Guide Rich Kohr shows us the graves of the son of George Pickett, a Gettysburg Medal of Honor recipient, and the grandson of E.P. Alexander. This map shows us the locations taken of videos for our Gettysburg at Arlington series. Videos #1-#18 were shown in our previous Arlington posts. 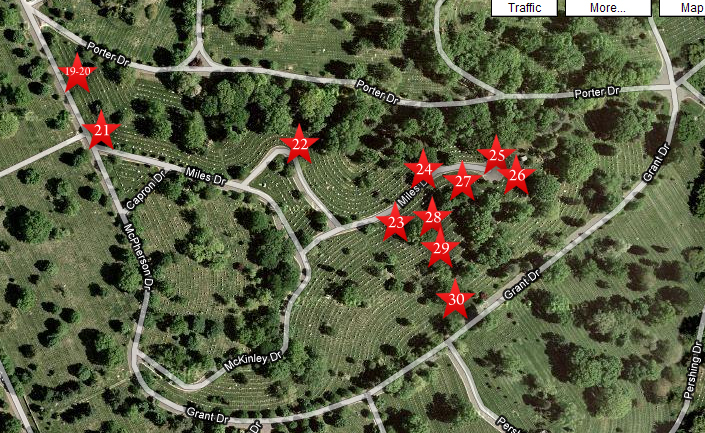 Videos #19 and #20 were taken near McPherson Drive at the graves of Edward Whitaker and James Milton Pipes. Video #21 was taken at the graves of Jeremiah Williams and Llewellyn Estes. Video #22 was taken at the grave of Ira Spaulding. Video #23 was taken at the grave of Ira Chaffee, and Video #24 was taken at the grave of Samuel Young. Video #25 was taken near the final resting places of Dr. Jonathan Letterman and Lieutenant General Nelson Miles. Video #26 was taken near the grave of Major Edmund Rice of the 19th Massachusetts Infantry Regiment. Video #27 was taken at the grave of Major General Daniel Edgar Sickles. Video #28 was taken at the grave of George E. Pickett Jr. Video #29 was taken at the grave of Charles E. Capehart. Video #30 was taken at the grave of E.P. Alexander III. This map was created facing north at approximately 8:00 PM on Wednesday, March 10, 2010. This is not George E. Pickett of Pickett’s Charge fame at Gettysburg. This view was taken facing southeast at approximately 4:00 PM on Sunday, January 31, 2010. 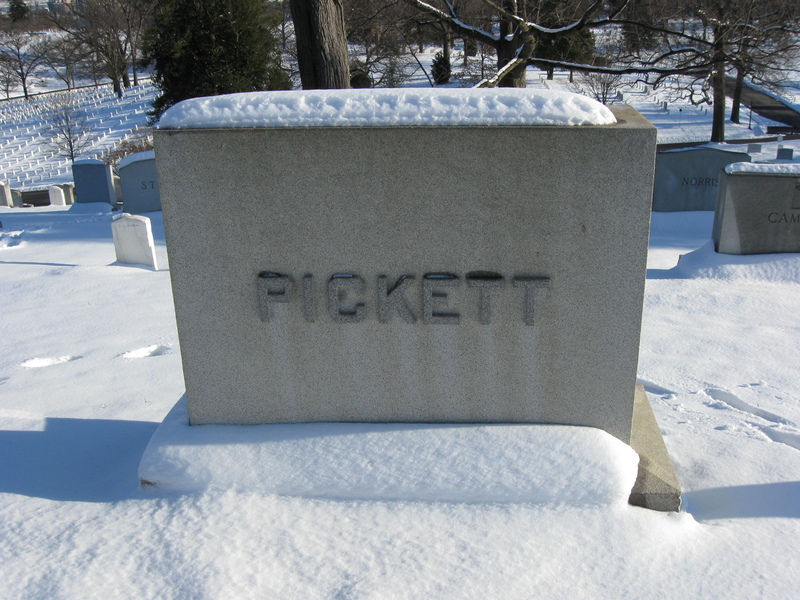 This is his son, George E. Pickett Jr. This view was taken facing northwest at approximately 4:00 PM on Sunday, January 31, 2010. 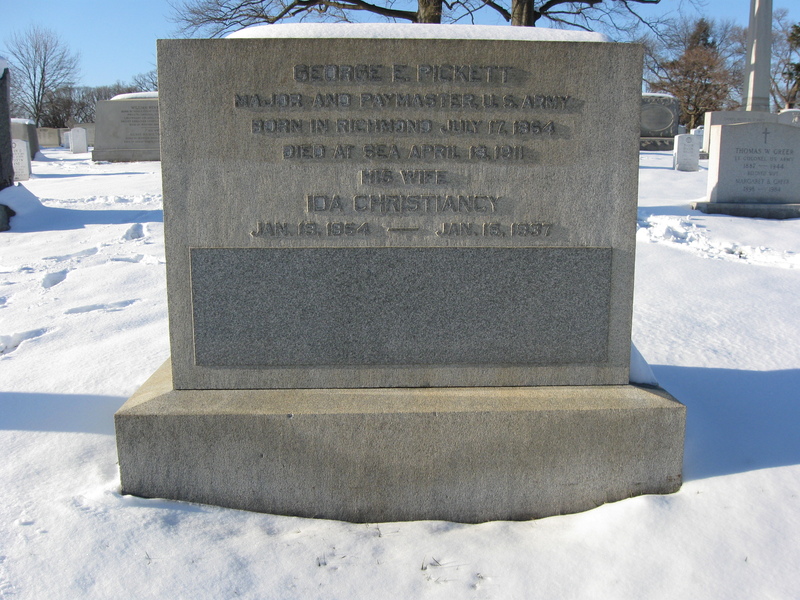 In Video #28 (Videos #1 – #27 were shown in our previous Arlington posts) Gettysburg Licensed Battlefield Guide Rich Kohr explains who George E. Pickett was, and his death at sea. This view was taken facing north at approximately 4:00 PM on Sunday, January 31, 2010. 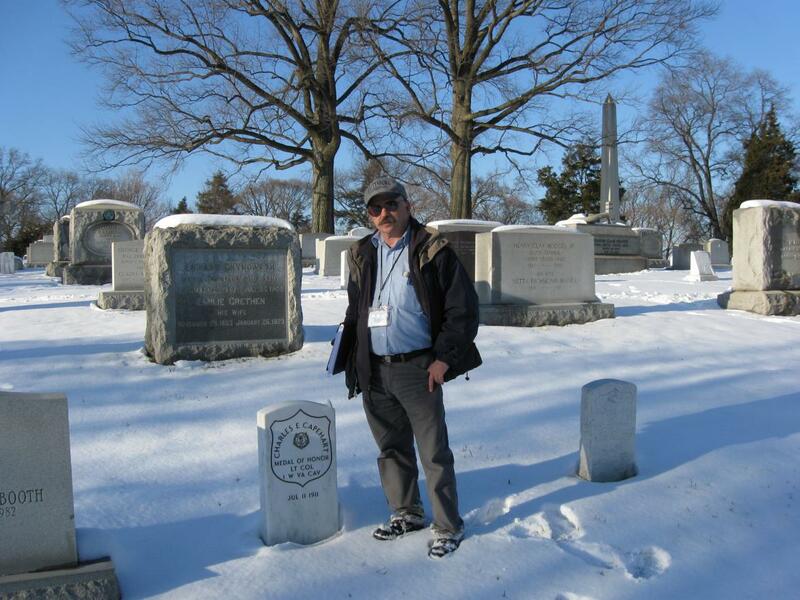 Licensed Battlefield Guide Rich Kohr is standing by the headstone of Gettysburg Medal of Honor receipient Charles E. Capehart of the 1st West Virginia Cavalry. This view was taken facing north at approximately 4:00 PM on Sunday, January 31, 2010. Capehart was awarded the Congressional Medal of Honor for his actions on July 4, 1863 at Monterey Pass. This view was taken facing northwest at approximately 4:00 PM on Sunday, January 31, 2010. 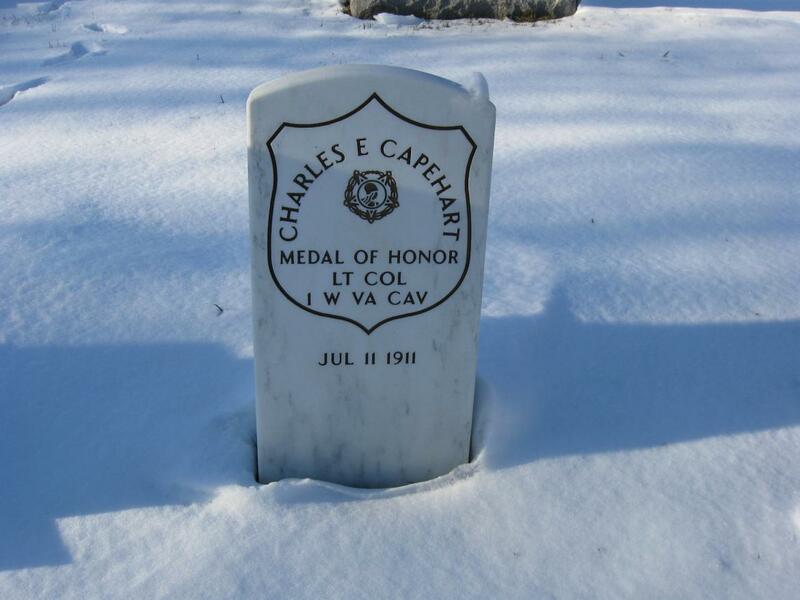 In Video #29 Licensed Battlefield Guide Rich Kohr describes the action for which Charles E. Capehart of the 1st West Virginia Cavalry was awarded the Congressional Medal of Honor. This view was taken facing north at approximately 4:00 PM on Sunday, January 31, 2010. 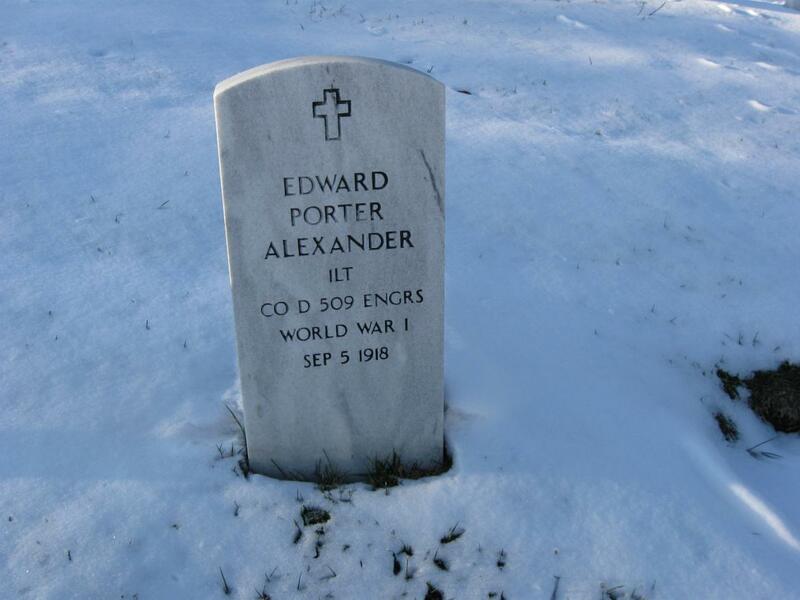 Rich Kohr is standing by the stone marking the gravesite of Edward Porter Alexander III. This view was taken facing north at approximately 4:00 PM on Sunday, January 31, 2010. E.P. Alexander III was killed in France during World War I. This view was taken facing northwest at approximately 4:00 PM on Sunday, January 31, 2010. In Video #30 Rich Kohr provides some biographical information about the grandson of artilleryman E.P. Alexander. This view was taken facing north at approximately 4:00 PM on Sunday, January 31, 2010.